Yamaha SS125, it is a new bike or just a Gladiator 125 in new colors? There has been no official announcement about this one, but a couple of days back a new (?) 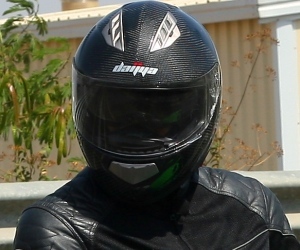 model appeared on Yamaha India's website. 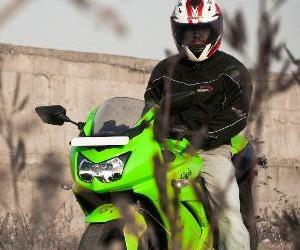 Named as "SS125", this bike appears just as the 125 cc Gladiator in new colors. But a closer look at the product portfolio of Yamaha India on its website reveals that this particular model has been given an all together new name and branding. 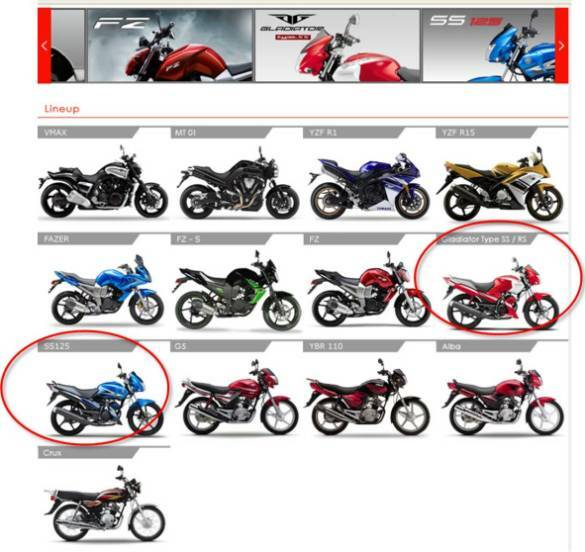 Both the "SS125" and the "Gladiator Type SS/RS" are presented as different models on Yamaha India website. By the way the earlier "Gladiator Graffiti" model has been removed from the website. Phew..!! one will definitely go bonkers keeping record of the changes. But the question is does this "SS125" deserve an altogether new branding separate from the Gladiator brand? That too when it looks exactly like the Gladiator? 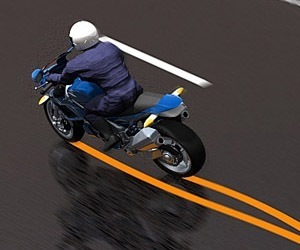 A "microscopic" examination of the current tech specs of both the "SS125" and the "Gladiator Type SS/RS" models reveal that the "SS125" at 1295 mm is 5 mm shorter in the wheelbase compared to the Gladiator (at 1300 mm). The over all length is also marginally shorter at 1995 mm compared to the 2065 mm of the Gladiator. The seat height at 795 mm is also 5 mm lower than the Gladiator. The kerb weight at 125 kgs is also 3 kgs lighter than the 128 kgs of the Gladiator. 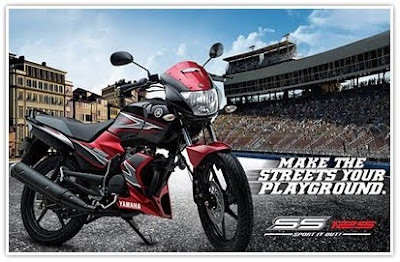 Is the new "SS125" branding justified or would it only confuse buyers? 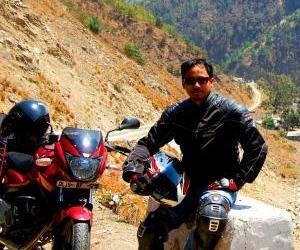 Visit the Yamaha India website: Click here.. 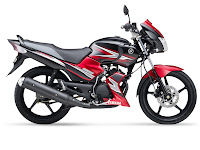 But a closer look at the product portfolio of Yamaha India on its website reveals that this particular model has been given an all together new name and branding. payeng, why are bike manufacturers so focussed on "branding" these days...like our very own bajaj auto. I guess today's world is all about branding and advertising!! "Jo dikhta hai woh bikta hai" It's like Mont Blanc is manufacturing Pencils along with it's ultra premium pens, but since the company sees a bigger market for the pencil than it's pen, Mont Blanc decides to brand the pencil in such a manner that we (the good old lame "foolish" end user), are given the perception that whether you buy the pencil or the pen, you are enjoying that same premium class!! That's the reason why you find R15 at the same ranks along with the R1s and V-Max. How does R125 (where R = ridiculous) sound for the name? Payeng,visit www.bikeadvice.in.I think they are copying u'r blog. @Anon above, thanks for pointing out to me. I have spoken with the owner of that blog, and he has given a link back to the original post which appeared on my blog. is the successor to Yamaha Gladiator Type SS, and Yamaha completely dropped the Gladiator name now. Through the years Gladiator has been re-designed and refined 4 times. And SS125 is the latest version, with the best design and graphics and the best handling. The SS125 and Gladiator Type SS have all similar specifications(Physical, Electrical and Mechanical) except the colors and graphics. actually when u look at the byk names of yamahas u'll see it in the form of some series. 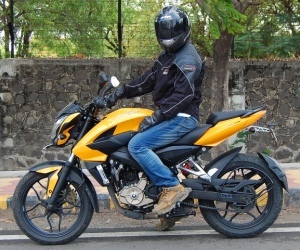 lyk R-series, YBR, FZ and so on..
so its justifiable to rename the bike..
even though the bike belongs to YBR series, a new branding is nyc to hear..